When Momchil Filev learned that more than $40 billion of durable goods are returned every year by buyers who are not happy with their purchase, he saw an opportunity. This is the story of BestReviews, the startup that he co-founded as a solution to that problem while he was a student at Harvard Business School. Filev wanted to find a way to connect product experts with prospective buyers in order to help them feel more confident when they select big-ticket items online. Filev and his co-founder Denis Grosz were awarded a small grant by Harvard to help fund their venture. They started by sourcing from experts in different product categories to produce detailed reviews on products like chainsaws and steam irons. To test the product and demand, they published the reviews online. "The first month we had a few hundred visitors," Filev told me, "the next month, we had a few thousand, and then a few hundred thousand." The team learned early that there was a clear need for their product. Every day, millions of people are searching on Google for products they want to buy. For example, people know that they want a dishwasher, but they don't know which one of the hundreds of models to select. They could spend several hours combing through what hundreds of individual users are saying about a particular dishwasher on Amazon, or they can read a consolidated analysis from a repairman who has serviced dozen of different dishwashers and has seen every broken part and knows exactly the ones you should avoid. 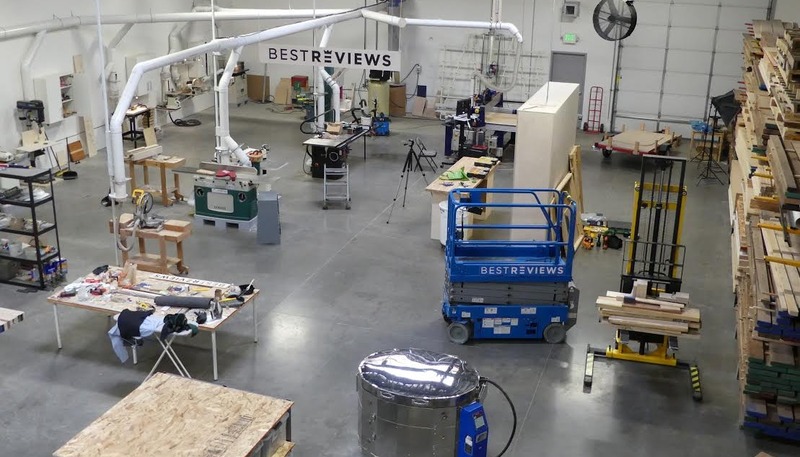 A year later, BestReviews has turned into a platform that has three million monthly active users. While the company is still small, with fewer than ten full-time employees, its ambition is big. Compared to the subscription-based model of Consumer Reports which similarly publishes reviews and comparisons of consumer products and services, BestReviews' content is free. By charging merchants a small commission when a consumer makes a purchase, the service is fully accessible to everyone. The business is currently re-investing all of its revenue in order to expand the scope and depth of its content base. They cover over 200 different product categories - ranging from convertible car seats to dehumidifiers, and every week they are publishing more content. What I found particularly interesting was that they built their own 10,000 square foot laboratory in Nevada, where they will put each product through their own set of rigorous testing guidelines. Filev's HBS classmate Ben Faw, an Iraq war veteran with mountains of operational experience, is in charge of leading the BestReviews Lab. In addition to laboratory evaluations, his team interviews industry experts, repairmen, and individual customers in order to make a full 360-degree evaluation of the products that they review. In the coming months, their content will expand beyond durable goods and into financial products like credit cards and insurance. Their goal is to be the free, one-stop resource for consumers. "People don't want to spend hours researching which mattress will be best for their back," Filev says, "They want to have the answer immediately and to be confident that they are making the right choice." "This concept translates to almost every large-ticket purchase," Filev continues. "We want to be the end destination for all consumer buying decisions online - whether it's lawn mowers, hotels, or fancy restaurants." Their vision is big, and the challenges ahead of them are immense. But with the team that they have assembled - and the momentum they have already gotten - they might just get there.